My garden feeds the birds and other wild critters throughout the winter, and I never put out feeders (to see why, please read this). Some foods are available in spring (when demand is highest and supply is actually lowest), some in summer, fall, or winter. Nature provides food for wild animals all through the year, and your garden can too. This post will focus on winter foods; check back soon for plant suggestions for the other three seasons. Winter foods tend to be those that birds do not favor–they’re the fruits that don’t get eaten the second they ripen. 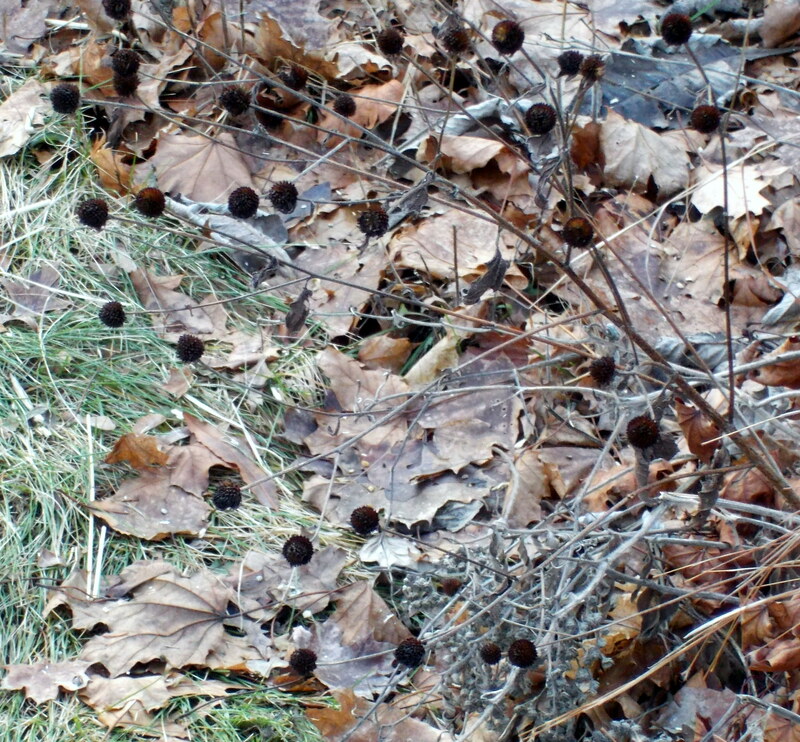 From the bird’s point of view they’re an emergency cache; from our point of view, they’re winter color. Top choices include hollies (Ilex species), such as American holly, winterberry holly (I. verticillata), and inkberry holly (I. glabra) They’re lovely and colorful throughout the winter. Most viburnums produce berries that get eaten as soon as they ripen. An exception is cranberrybush viburnum (V. trilobum). 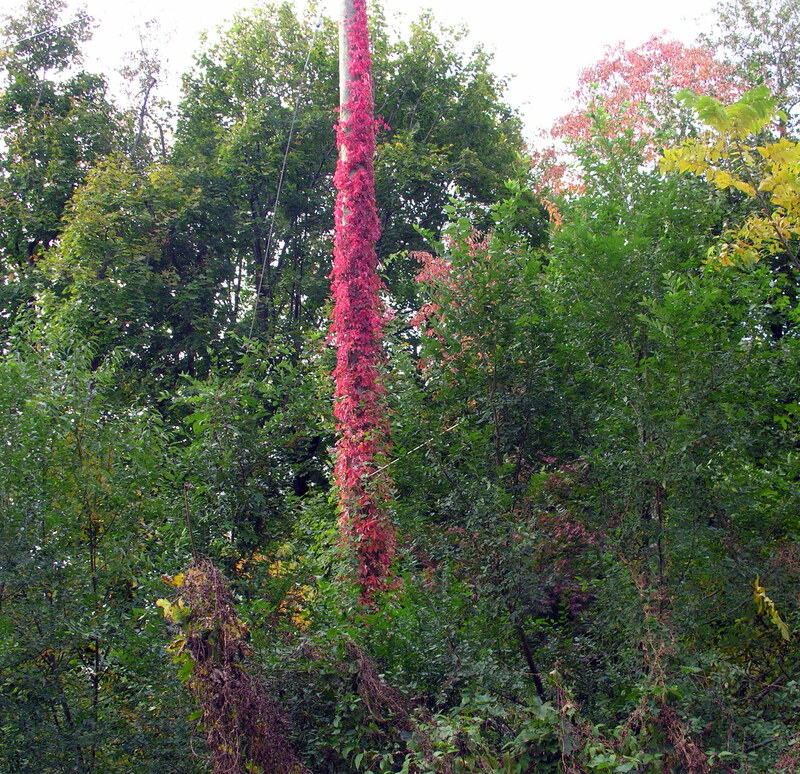 The bright-red berries remain on the plant for most of the winter. Coralberry (Symphoricarpos orbiculatus) is an underused plant. 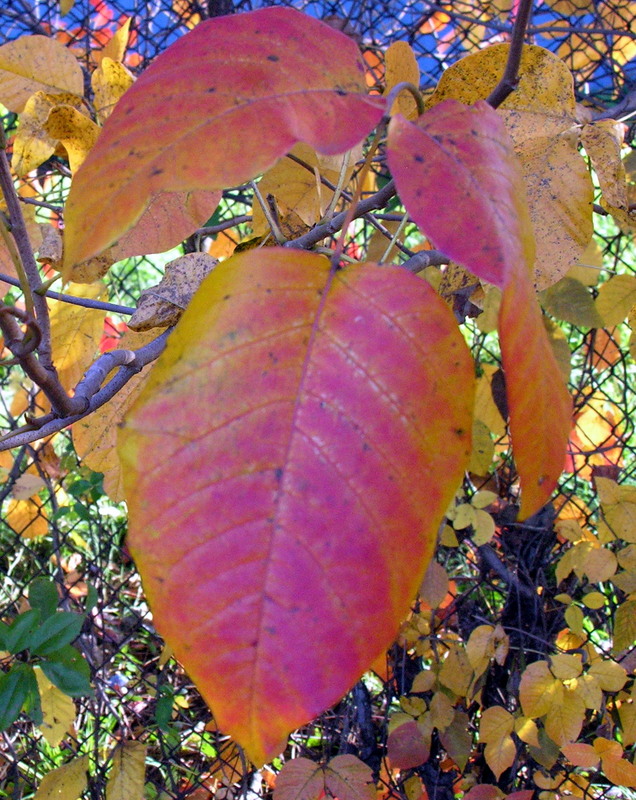 It’s a low-growing, spreading shrub that does well in dry soil and shade. 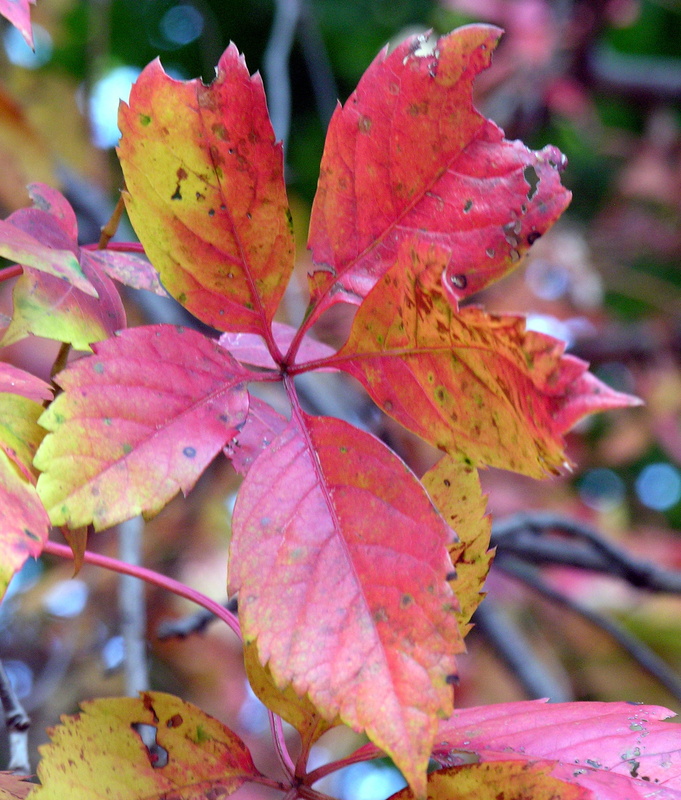 It produces tiny, bright-pink berries that serve as winter food all season long. 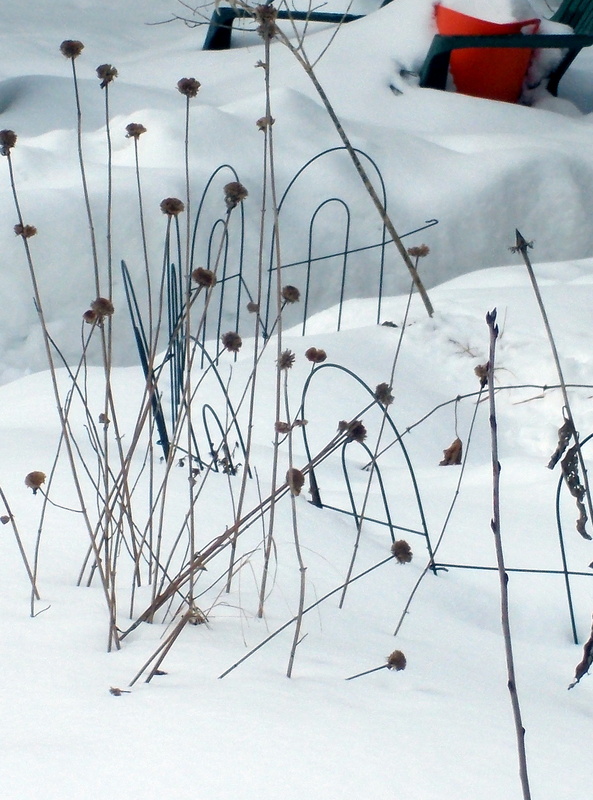 Don’t forget about the perennial garden when you think about winter food. The main reason I don’t clean up the perennial garden until spring is to provide sustenance through the winter. The most popular seeds–those of sunflowers, asters, grasses–are long gone, but plenty of plants are still full of seeds, particularly ironweed (Vernonia) and brown-eyed susan (Rudbeckia triloba). 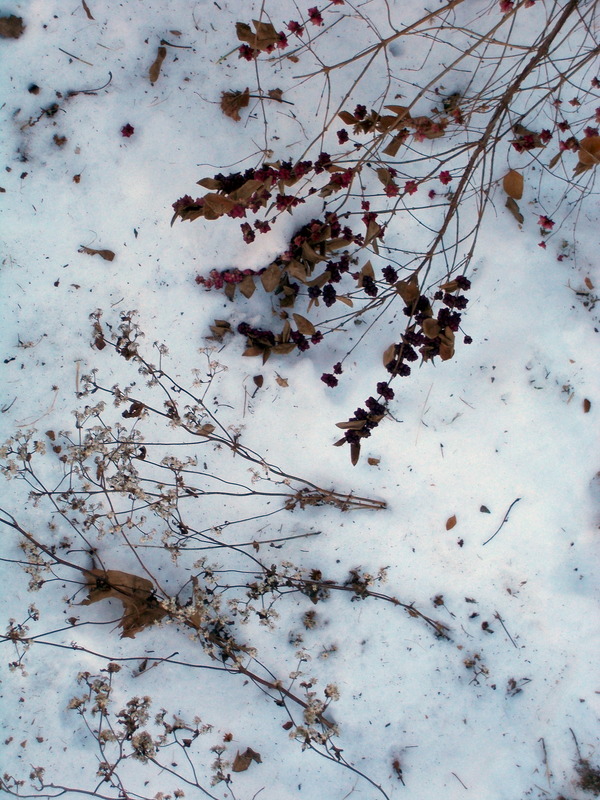 And if you let leaf litter remain on the ground among the plants, it will protect fallen seeds and overwintering insects that birds will forage for all winter whenever there’s no snow on the ground. Many birds, especially tiny ones like kinglets, chickadees, and nuthatches, and of course woodpeckeers, eat insects throughout the year. In winter, they find them under tree bark. They’re doing a good service to your trees by eating those insects, some of which can be harmful to trees. Do don’t be in a hurry to spray pesticides on your woody plants (this is the time of year when your tree care company is trying to sell you as many treatments as possible for next season, so think carefully about what you really need). Spraying pesticides often means eliminating the food that can sustain our native bird populations throughout the year. This afternoon I spent a pleasant quarter hour watching a small flock of sparrows–I think they’re chipping sparrows, but bird identification is not one of my strengths as a naturalist–feeding in the perennial border right outside my office window. I allow the fallen leaves to remain in place in the flower beds all winter, and they protect lots of overwintering invertebrates and seeds. The tiny sparrows were energetically grabbing and tossing up bunches of leaves to uncover the food below. I am proud to say that I provide these noisy, active creatures with abundant winter food. Throughout the winter, my garden routinely hosts mixed-species foraging flocks of native sparrows, juncos, chickadees, downy woodpeckers, nuthatches, and kinglets. But I don’t attract them by putting up feeders. I don’t feed birds or other animals directly, although I plant native shrubs, flowering plants, and grasses that serve as natural food and cover. As a result, my yard is full of birds and other wildlife. After a great deal of research I took down my birdfeeders about a decade ago, and I strongly believe that feeding wildlife is harmful to the animals that eat the food, to humans, and to the environment in general. I’ll explain just a few of my reasons for this statement. Time and time again, people who feed birds complain about the proliferation of pesky nonnative birds, such as European starlings, pigeons, and sparrows, at their feeders. I see it myself—one of my neighbors, who has a feeder, is troubled by large numbers of pigeons, while the goldfinches and cardinals fly right past his yard and flock to mine. By putting up feeders, you encourage these alien species that outcompete native birds for food and nest space. (And you also attract rats!) By planting native plants and encouraging beneficial insects, you encourage native birds. Aside from the problem caused by molds and bacteria that grow in feeders (hummingbird feeders are a prime example of this), the congregating of large numbers of birds at feeders has been shown to spread disease. The house finch, a North American bird that looks like a sparrow dabbed with raspberry juice, had its population plummet because of a devastating eye disease that causes blindness. This disease is spread by the close proximity of birds at feeders. If you watch birds feeding from a natural food source, you will see that they almost never come into very close contact, as they are forced to do at a feeder. The presence of artificial food sources can cause unnatural increases in populations of certain species, often in areas to which they are not native. For example, mockingbirds now live year-round in this area, whereas they formerly migrated south for the winter. This change in behavior can cause a species to become completely dependent on food provided by humans; if the food is suddenly withdrawn (because you move away or you go away for a week and your feeders remain empty), populations that have become dependent may not survive. If, on the other hand, you provide natural food sources, those sources will remain whether you are here or not. Predators, such as housecats and hawks, are smart. If prey species congregate in one specific area, predators will come around for an easy kill. Because feeders are often placed out in the open, without nearby cover, birds don’t have a chance. When I had a feeder in my yard, a neighbor’s cat was always lurking. Now, although there are many, many birds around, I almost never see cats. In nature, predators have to work hard for a meal. When we make things easy for them, we tilt the balance of nature in their favor. This is really the overriding argument against feeders, in my opinion. Nature is so complicated, predators and prey live in such a delicate, precarious balance, that everything we do has unintended consequences. We just don’t know enough about even our local ecology to justify intervention. For example, many people who feed birds say that if they didn’t, the birds would die in the winter. Yes, some probably would, but that’s natural. It’s natural for animal and plant populations to fluctuate seasonally and over periods of years; that’s how balance is achieved. It’s natural for weak animals to die during a hard winter; that’s how nature ensures that the only the strongest will survive to breed in the spring. By altering this balance to suit ourselves, we help the weak to survive and we artificially tilt the balance of nature. If, however, we encourage wildlife by planting native species they need for food, we help maintain or reinstate that natural balance. Ecology is a fascinating, bewildering study. It humbles me, because I’m continually discovering how much we don’t yet know! But the more I learn, the surer I become that the only way to improve our environment is to intervene less and, in every thing we do, to aim to restore the balance of nature. And feeding the birds simply doesn’t accomplish that. 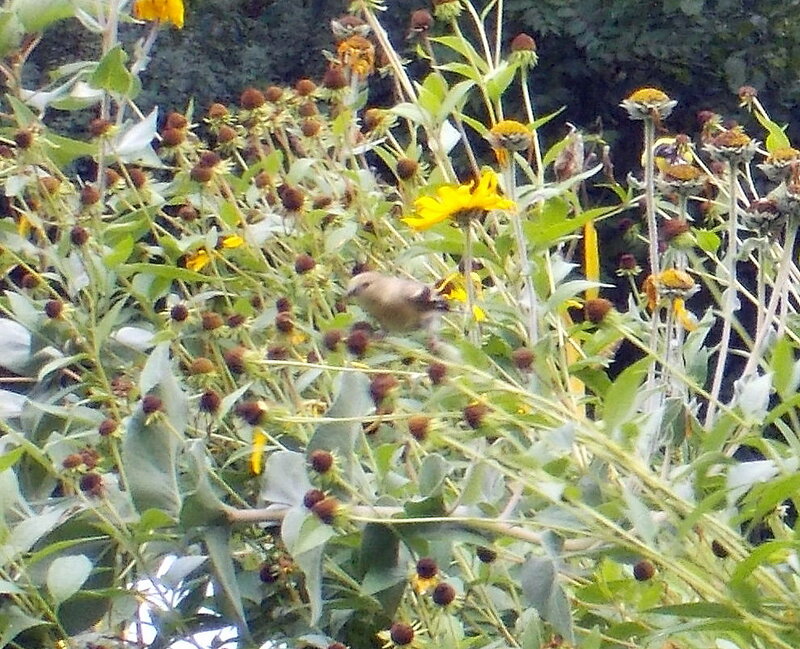 Look carefully at the center of the picture, and you’ll see an almost-sharp picture of a female goldfinch feeding on Rudbeckia seeds in my perennial border. This time of year, we can’t open our back door without disturbing a flock of these noisy little guys–sometimes more than a dozen at a time shoot out of the border and take flight across the backyard. They’re hard to photograph because they move so fast. But yesterday I finally captured this one. Each year, from the time the first seeds ripen on plants in the Asteraceae–the enormous aster family, which includes all the Rudbeckias and sunflowers, in addition to the asters–we see and hear goldfinches all day, every day. Goldfinches are exclusively seed eaters, and they nest late so there will be lots of seeds available to feed their young. And this particular perennial border, full of sunflowers and Rudbeckia, is a cafeteria for goldfinches. 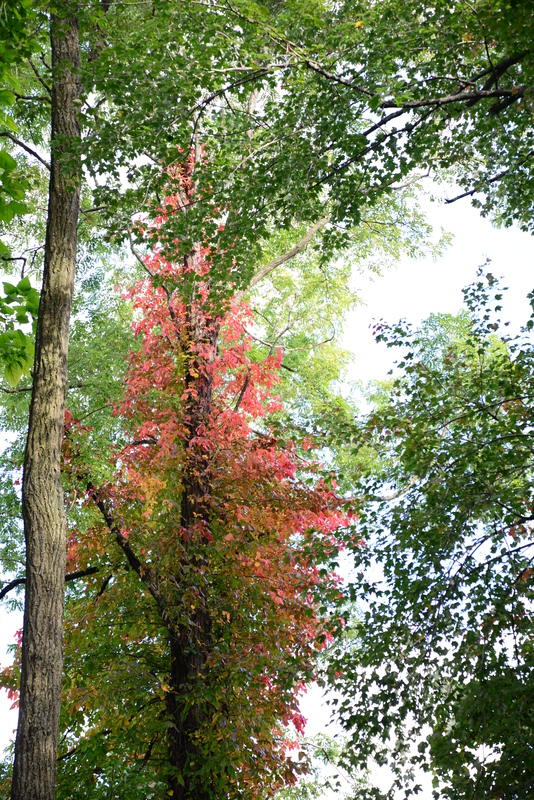 We see and hear them from the beginning of August through early fall each year. When I planted the perennials, I expected to get pretty flowers, but I didn’t know I would get entertainment as well. I’m just a little bit obsessed with fruit. I selected many of the shrubs I grow because they produce fruit, not necessarily for us but for the birds and other critters. Today we noticed that the birds were going crazy among the ripe Aronia berries. A friend picked about half my berries for jam about a week ago, and I was going to get around to picking some for my own jam–sometime soon. Except that if I hadn’t gathered them today, there would have been none left. The catbirds and robins had devoured at least half of what was left, so I shooed them away and picked almost two pounds of berries. And those birds know how to pick ripe fruit–the berries were soft and juicy, not hard like Aronia berries usually are. 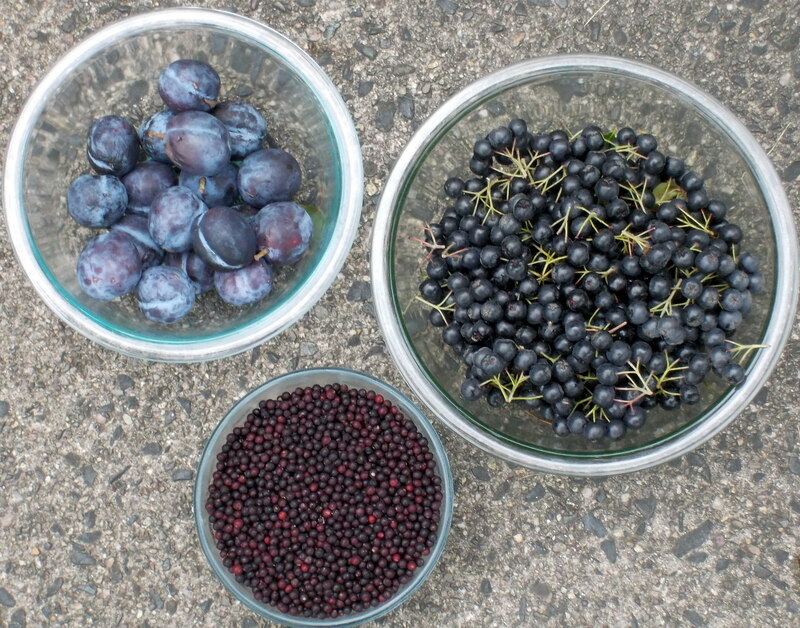 The photo shows the Aronia berries (right) before I picked them over and washed them, plus some elderberries (bottom) that I picked and cleaned a few days ago and stored in the fridge, and some prune plums I bought in the market. The plums on my American plum trees are turning red, but they’re not ripe yet. All this fruit is macerating with sugar in the refrigerator, and I’ll make jam tomorrow using a formula for pectin-free jam I found online. All summer I’d been planning a purple-fruit jam made entirely of my own wild fruits–Aronia berries, elderberries, and plums–but the plums did not oblige. 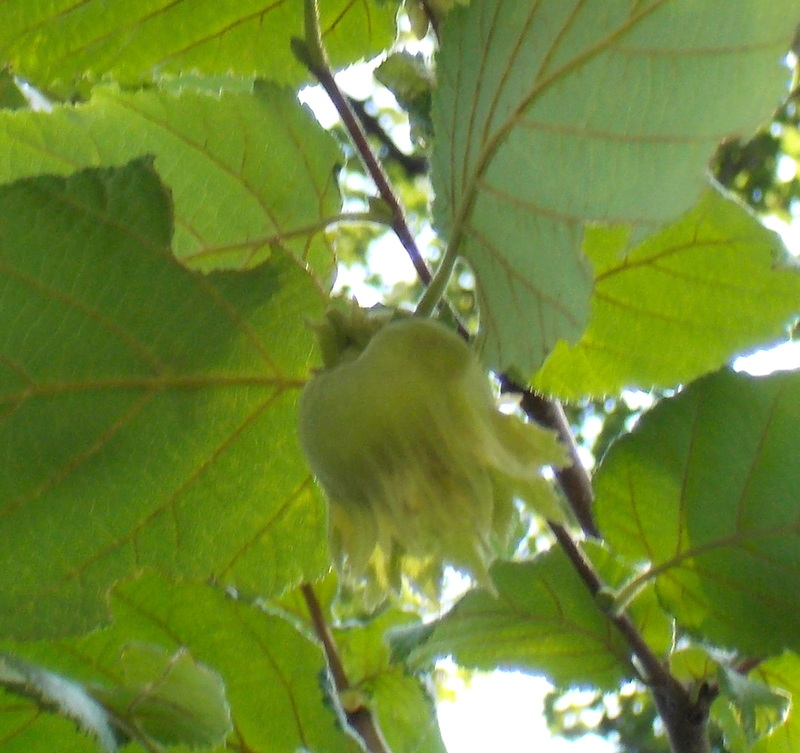 However, the hazelnuts (Corylus americanus) seem to have ripened today along with the Aronia berries. A few days ago I checked them, hoping to get just a few before the squirrels devoured them all, as they do every year; they were still tight and green inside their husks. 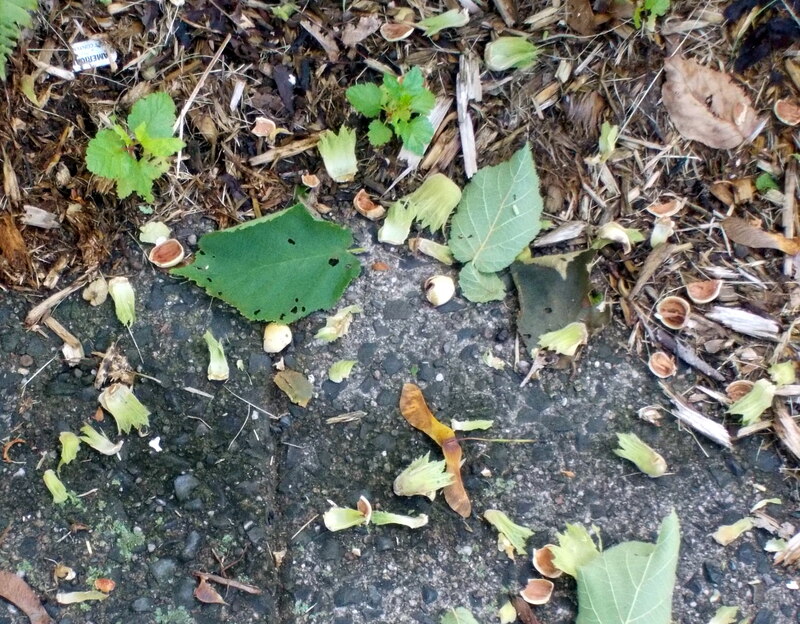 Today the ground under the shrubs was littered with husks and shells. I searched long and hard for some nuts left on one of the trees. I managed to find a single remaining nut and took a rather poor photo of it, so at least you can see what it looks like if you’ve never seen a hazelnut on a tree. It still looks green, doesn’t it? It sure fooled me, but not the squirrels.